Want to see more? Follow RPS on Craftsy for pattern releases. 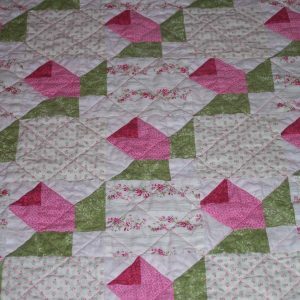 A unique rose quilt for a special baby girl or a throw quilt to compliment a romantic-style home! This PDF pattern contains detailed diagrams, instructions and sewing tips to guide you from cutting to finishing. 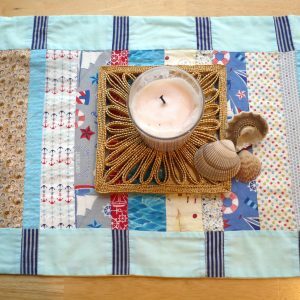 Bring in a touch of the seashore with this fun, summer table runner. Use your favorite beach or nautical prints and batiks. 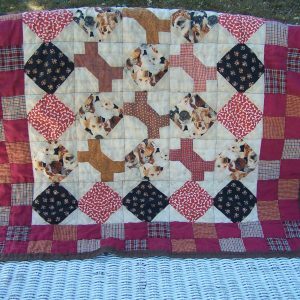 An adorable mini quilt for your special pup! Make this quilt for your dog to rest on. The PDF pattern contains full instructions and detailed diagrams for creating the bone blocks, the diamonds and the edging to guide you from cutting to finishing. Select dog fabrics, plaids or any coordinating prints you wish. Make your home cozy with this charming evergreen cabin! This PDF pattern contains detailed diagrams, instructions and sewing tips to guide you from cutting to finishing. This fun, easy pattern stitches up quick with a stitch count of only 38 x 35. Stitched on 11 count Aida, it’s a good project for beginners or a quick design for any skill level. 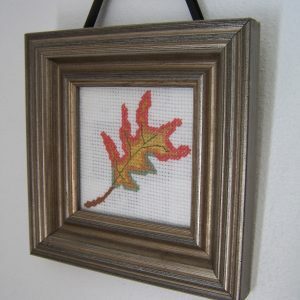 PDF pattern includes an enlarged chart with color symbols and an optional acorn. 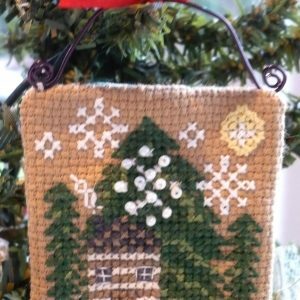 Stitch this quaint winter cabin as a holiday ornament or decorative motif. It stitches up fast with a count of only 29 x 30. Turn it into an ornament by stitching on a backing fabric and adding a wire or ribbon hanger!